Why do you need a photo booth? FUN! It's as simple as that! After photographing hundreds of weddings, events, & portraits over the last 10 years, I always found that guests really love photo booths. These are the best keepsakes you can give your guests. 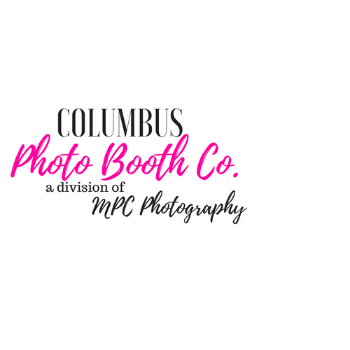 Consider your cost for keepsakes (candy, candles, keychains, etc) and reserve a photo booth instead. Your guests will absolutely love being able to actually take home a picture...espcially in this digital world that we live in now. You will also get get a digital gallery of all the images taken in the booth, so you won't miss out on any of the fun! What is an "open air booth"? An open air photo booth functions the exact same way as a traditional photo booth (like one you would see in a mall) except it is NOT enclosed. This means we can bring in different backdrops, fit more people, and have more fun! There is a touchscreen, a countdown, and instant prints on the spot. Can I customize the strips? Absolutely! Your name, event name, date, logos, and colors. I will work with you prior to your event to make sure we come up with something perfect. Venue Requirement? Indoors with a flat surface, within 10 ft of a standard electrical outlet. We also need an area of about 10x10. Outdoor events (weather permitting) would require a rental tent (additional cost), along with the same requirements mentioned above.